InterContinental Hotels Group (IHG) today announces the newest evolution of the Holiday Inn® brand’s Journey to Extraordinary campaign. This campaign, now in its third year, celebrates the unique journeys of the many guests who walk through the doors of Holiday Inn hotels each day. In this new year of the campaign, the Holiday Inn brand will highlight the extraordinary journeys of two small businesses – Sword & Plough and Perfect 10 Foods – and how Holiday Inn hotels can be a valuable partner in helping them succeed. With this campaign, the Holiday Inn brand will reinforce through creative storytelling how it anticipates the needs of small business travelers to better serve them as individuals and empower them with the service and value they need to be successful. Whether a small business traveler is checking in for the very first time or for their first stay in a while, the Holiday Inn brand strives to support their team while on the road by helping to facilitate valuable connections that will grow their business. The Holiday Inn brand documented the extraordinary journeys of these two businesses over the course of a few months, across eight cities and six states nationwide, resulting in compelling documentary-style videos showcasing both the ups and downs of small business ownership. The campaign includes long form and short form content for each company, which will be featured in television and digital advertising and across the Holiday Inn brand’s various platforms including YouTube, Facebook, Instagram and Twitter, and on HolidayInn.com. 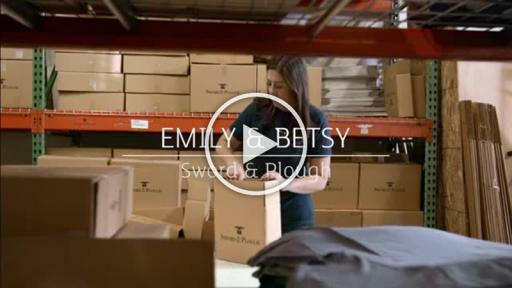 Founded by sisters, Emily Núñez Cavness and Betsy Núñez, the Denver, Colorado-based Sword & Plough repurposes military surplus into fashionable bags whose sale empowers veteran employment, reduces waste and strengthens civil-military understanding. Emily and Betsy grew up in a military family and Emily is currently serving as a U.S. Army officer. Sword & Plough works with veterans at every stage, from product conception to order fulfillment, and hopes its bags will serve as conversation pieces that help bring awareness to veteran issues. Since the company’s launch in 2013, Sword & Plough has already made important steps toward its quadruple bottom line goals: people, purpose, planet and profit donations. Based in Atlanta, Georgia, Perfect 10 is an artisanal food distributor that is committed to building personal, long-term relationships with its customers rather than be just another mass delivery business. Brothers Nick and Steven Carse founded Perfect 10 following the creation of their first successful venture, King of Pops®. After experiencing frustration with the company’s distributors, the Carse brothers wanted to create a new and unique distribution business that would provide like-minded companies with the personal service and attention to detail that their brands and products deserve. The Holiday Inn® brand, which offers more than 1,220 hotels and resorts worldwide, has helped millions of travelers discover the joy of travel since its inception in 1952. Designed to meet the needs of both business and leisure travelers, Holiday Inn hotels deliver memorable experiences through warm and welcoming service, contemporary design that blends the familiar with the new, and a sense of comfort unique to the brand and its iconic green sign. At Holiday Inn hotels, guests can find amenities to help them work and play, including full-service restaurants where Kids Eat Free, meeting and business facilities, bright swimming pools and comfortable lounges all designed to help guests relax and refresh, making travel more enjoyable for all. For more information about the Holiday Inn brand, visit www.holidayinn.com or call 1-888-HOLIDAY. Find us on Twitter http://www.twitter.com/holidayinn or Facebook www.Facebook.com/holidayinnhotels. 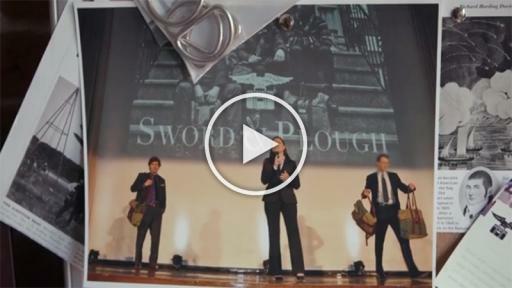 Sword & Plough is a socially conscious brand that works with American manufacturers who employ veterans. The company recycles military surplus, incorporates that fabric into stylish bag designs and donates 10% of profits back to veteran organizations. www.swordandplough.com.